In the last few years, more and more books and essays written by well-respected Torah teachers have been condemned as heresy by some influential – mainly ultra-Orthodox – rabbinic authorities (1). This has done great harm to many young people who are looking to connect with authentic Judaism but become deeply disillusioned when they realize that some ultra-Orthodox, very learned rabbis seem to be unaware of science, modern philosophical thought, and other disciplines. 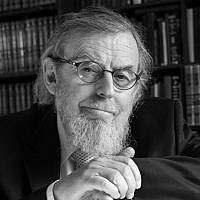 These rabbis consequently condemn books that show how our holy Torah can easily relate to the latest developments in all these branches of knowledge. Yes, it sometimes needs creative and bold thinking, which was not exhibited by earlier generations, but this is exactly what is so beautiful about Judaism: its ability to adapt while in essence remaining unchanged. It is a well-known fact that after Darwin’s death, his evolution theory became more and more popular, and many young Jews were attracted by his ideas and left the fold. In 1885, in the city of Kovno, there was a meeting of rabbis that included the famous geonim (Torah giants) Rabbi Yitzchak Elchanan Spector and Rabbi Alexander Moshe Lapidus. One prominent leader suggested that any Jew who studied Darwin’s works should be ostracized. Rabbis Spector and Lapidus strongly opposed the move on the grounds that “mayim genuvim yimtaku” (stolen waters are sweet) (2), and banning Darwin’s books would only make his theories more appealing (3). Judaism has little interest in using thought control. Prior to the emancipation of the Jews, bans were sometimes used when the coherence of a Jewish community, living in gentile and often hostile surroundings, was at stake. Yielding to unity then was crucial to the survival of the Jewish people. The rabbis, however, were very reluctant to impose bans, knowing how harmful they would be for the so-called renegades and even for their families (4). But above all, they realized that such condemnations were for the most part counter-productive. Religious condemnations today, by ban or other means, reflect negatively on those who issue them. They are symptoms of fear and lack of intellectual honesty. They indicate a refusal to conduct scholarly debate, and they display fundamentalism and dogmatism. Willfully or unintentionally, bans are identified with the Christian clerical authorities who condemned Galileo in the seventeenth century for suggesting that the earth was not the center of the universe. Bans have been enforced against demons, witches and other objects of superstition — hardly activities that rabbis would want to be identified with. Should rabbis wish to send a message to their followers that they are not in agreement with the contents of certain books, they should first realize that bans and condemnations are not the road to take. It is no longer possible to contain censorship or denunciation solely within a certain social group. Once released, it travels to every corner of the world to be seen by all, Jews and gentiles. Most of the time, it elicits laughter and greatly embarrasses authentic Judaism. This is especially so when certain rabbis try to withhold scientific information from their followers, or want to hold on to ideas that the intellectual community and authentic Judaism have long since rejected as simplistic, outdated, and even incorrect. No doubt, rabbis have a right to convey their displeasure, but they should do so through appropriate and convincing arguments, never through mind control (5). Refuting arguments in your own study is easy when you have to answer only yourself. The art is to confront the adversary and see if your arguments really live up to the challenge. Instead of condemning a book or essay, meet with the author, ask them to explain their point of view and then try to refute their opinions. The first requirement, of course, is to actually read the book carefully from beginning to end. Reviewing or criticizing a book before having read it is highly problematic, unless the reader is afraid of being guilty of prejudice by reading it! Furthermore, a truthful criticism should reflect great expertise. Recklessly condemning scientific or philosophical claims is a sign of great ignorance, even if some of these ideas may be open to debate. Such condemnations indicate the critics’ inability to suffer disagreement because they are unable to defend themselves. They reveal an incapability to handle opposing views. Pulling something apart is often the trade of those who cannot construct. As English writer Charles Caleb Colton once said, “Criticism is like champagne: nothing more execrable if bad, nothing more excellent if good” (6). It is also a matter of decency not to condemn somebody’s views when they are, in essence, restating earlier and well-established sources quoted by great rabbinical authorities. One should have the courage to challenge the earlier sources and not attack those who rely on them and are more vulnerable. Yet lately, the latter has become the practice. This is dishonest. To hide behind false valor and take the easy way out shows great cowardice. Courage is the direct result of resisting and mastering fear; never is it a consequence of escaping fear. Criticism should not be quarrelsome and destructive, but should rather be guiding, instructive and inspiring. Judaism has never feared dissent and debate but has in fact encouraged it. What, after all, is the benefit of condemnation if Judaism simultaneously loses its soul? It is time to reestablish Judaism on its authentic foundations as a tradition of moral and intellectual heroism, one that encourages open-mindedness. We must never forget that “we owe almost all our knowledge not to those who have agreed but to those who have differed” (7). Jews have greatly suffered from condemnations and inquisitions. The Talmud and its many commentaries have often been put on the Index Librorum Prohibitorum (List of Prohibited Books) of the Catholic Church. It has been condemned and burned but has outlived all its foes. Let us therefore be careful not to follow in the footsteps of the Church, which loved the truth so much that it was afraid of overexposure. Such attitudes have no place in the Jewish religious world of today. Truth will not be served by imposing bans and issuing condemnations, but only by honest investigation and dialogue. Today it is wrong to use a ban or open condemnation, even when one is right, let alone when one is definitely mistaken. Judaism overcame many of its intellectual opponents because it showed courage. It is committed to the truth because it is convinced that the truth is represented by the holy Torah.